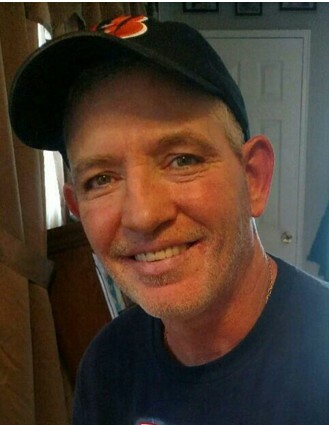 Age 51, of Waverly, passed away Monday, January 14, 2019 at his home. He was born January 31, 1967 in Chillicothe. He was a graduate of Western Pike High School. Jeff worked as a plumber in Heating and Air Conditioning and loved to tinker on anything that had a motor or moved. He enjoyed listening to music, his favorite bands were Bad Company and Blue Oyster Cult, and he also loved playing the guitar. Jeff enjoyed arm wrestling, was an avid fan of football, and his favorite teams were Ohio State and the Bengals. More than anything, he enjoyed spending time with his children shooting basketballs, throwing a football, and throwing baseballs. When his children were teenagers he loved to box and wrestle with them. Jeff is survived by two sons, Aaron Montgomery of New Boston and Arrick Montgomery of Portsmouth; one daughter, Aaliyah Montgomery of Waverly; his girlfriend, April Cooper and her children, Brooklyn Cooper, Briahna Cooper, Britney Cooper, and Brian Cooper; two brothers, Thomas Montgomery (Christy) of Waverly and Lance Dotson (April) of Waverly; one sister, Kim Jones (Jay) of North Carolina. Funeral services will be held 2:00 p.m. Friday, January 18, 2019 at D.W. SWICK–NELSON FUNERAL HOME in New Boston with interment to follow at Evergreen Cemetery on Bridge Street in Waverly. Friends may call one hour prior to the services at the funeral home. Online condolences may be shared at www.DWSwickNelsonFuneralHome.com.